We finished the final 3D shoot of the year with a bang. A quick rain downpour Saturday but that didn't detour our faithful Archers. 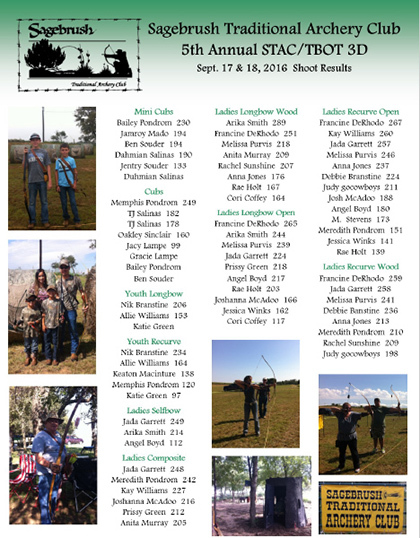 171 scores cards, 30 fun rounds, 10 or so Kiddo's and 4 new TBOT memberships. 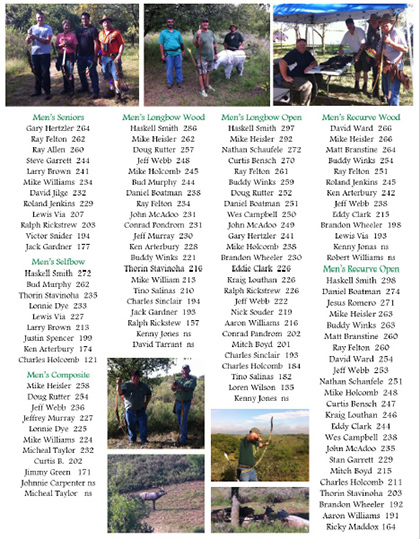 Thank You Sagebrush Archery Club (Durk and Prissy Green, Brandon Wheeler, Jimmy Green, Jeff Webb, Ken Arterbuy) for hosting the 5th Annual STAC/TBOT 3D Shoot. We appreciate all your HARD WORK - Great shoot!!! The course set up was interesting and fun, awesome raffle items, and yummy breakfast burritos and hamburgers. Additionally, the shoot couldn't happen without our TBOT volunteers: TBOT North Texas Rep. Bud Murphy and TBOT members Cori Coffey and Tommy Shackleford - Thank You!